You are here: Home / Why More Businesses are Choosing Colocation Hosting Services? The trouble with today’s business in Australia is the evolution of today’s customers. That is a challenge that many entrepreneurs seek to address. After all, keeping the most number of buyers to you makes the job of selling all the more challenging. You can make things easier with the help of reliable and fast servers that can help you analyse and attend to the market better. And while you may be able to provide yourself with one, which does not mean that you have the means to keep them working. Be it limits in your office location or expertise, you do agree that you will need the help of a colocation hosting data centre in order for you to maintain your utmost performance. As a form of support for business, there are plenty of ways that a secure data centre can help your company. 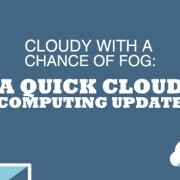 With the improvements done in cloud computing, then it is possible.